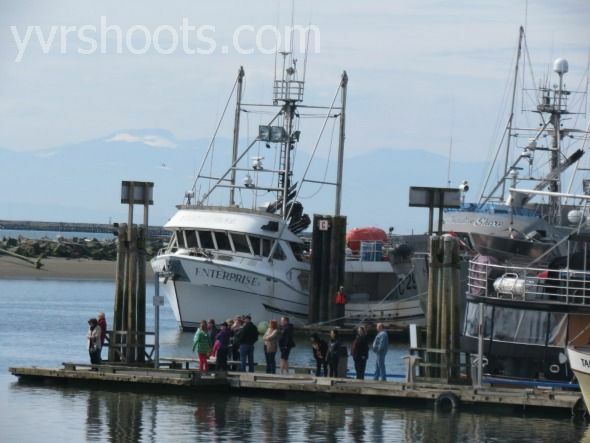 Updated March 31st – Once Upon a Time is filming in Steveston for four full days for its season two finale, And Straight on ‘Til Morning. Tuesday, March 26th, was Day One. 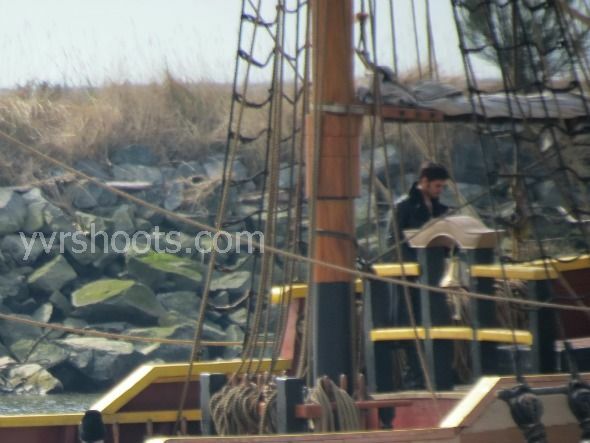 Once Upon a Time filmed a scene of Captain Hook (Colin O’Donoghue) at the helm of his pirate ship off the Steveston docks south of Vancouver today. 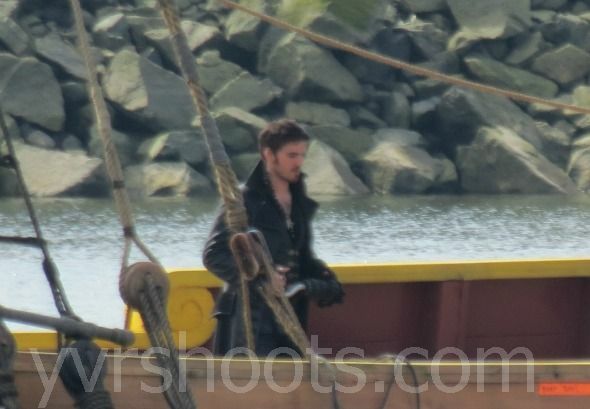 Is he in Neverland for the season two finale? 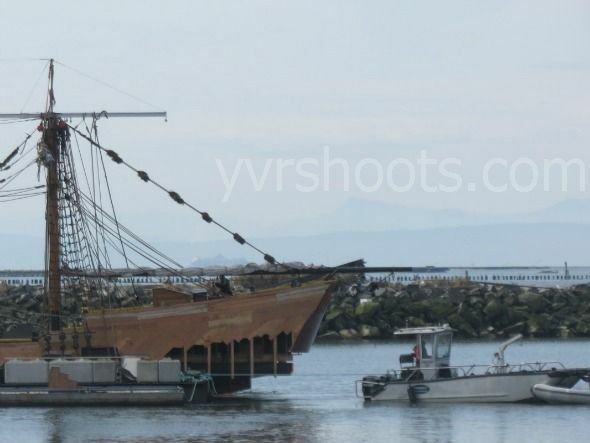 A boat towed the floating pirate ship set west while a camera boat did a pass of the set with a technocrane panning up to Hook on the painted side of the ship. 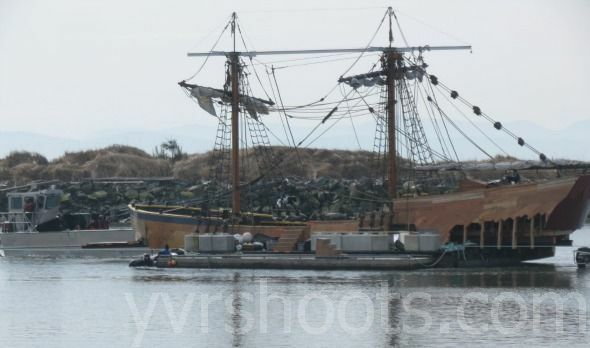 Once Upon a Time did several takes of this and then the pirate ship set was towed into the docks. 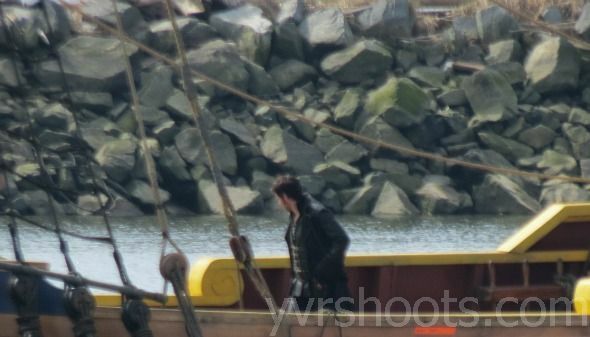 Unfortunately I missed earlier scenes on the pirate ship set. 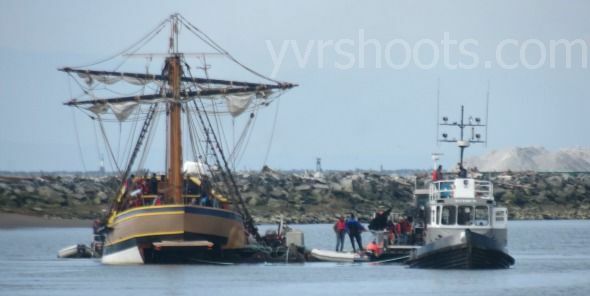 Camera boat does a pass of pirate ship set with Captain Hook at helm. 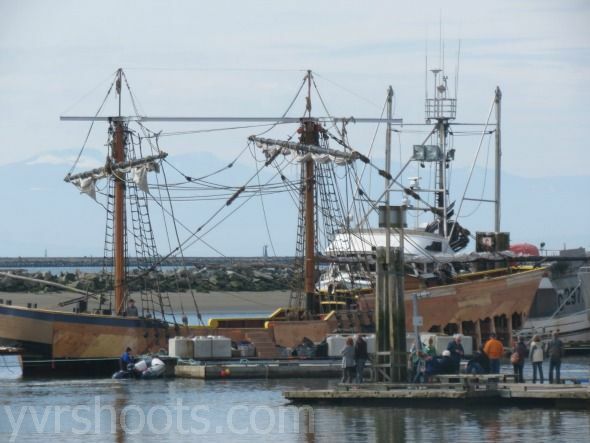 In dock, Once Upon a Time filmed some scenes of Captain Hook and the Lost Boys of Neverland on the pirate ship set, including young Baelfire (Dylan Schmid). 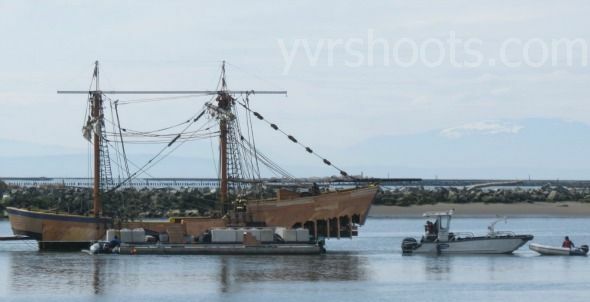 And the next day crew started stripping down the pirate set for the hiatus back in the Britannia Heritage Shipyard Park. Awesome shots! Love when they use the ship. Thanks! 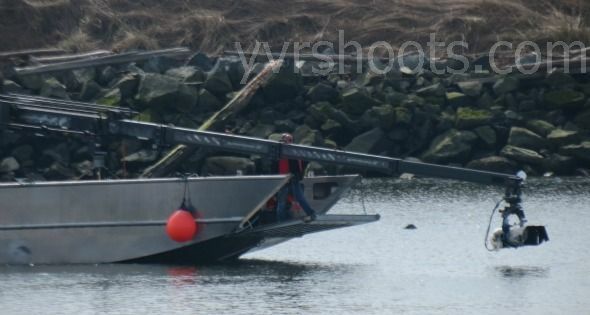 Interesting that the floating set is on pontoons; I wasn’t even sure it could move away from the dock! Love seeing the Lady Washington but I’ll take anything I can get. Yay! 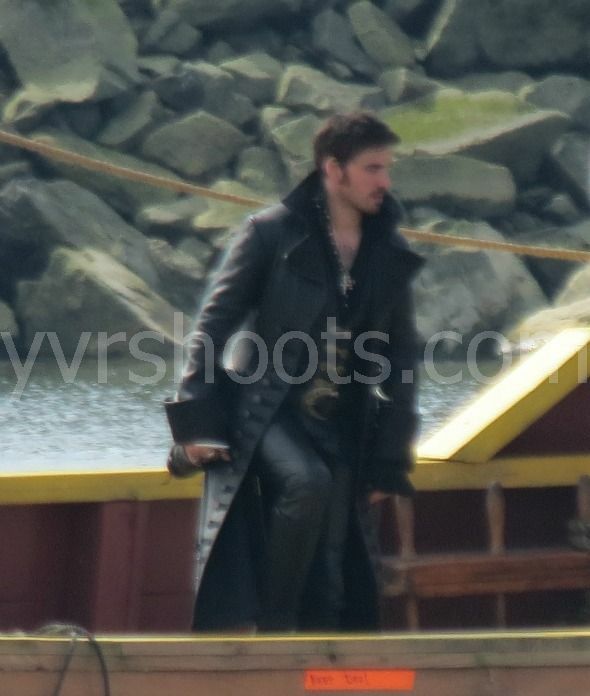 Hook returns! Someone else might have photos but this is all I saw today. 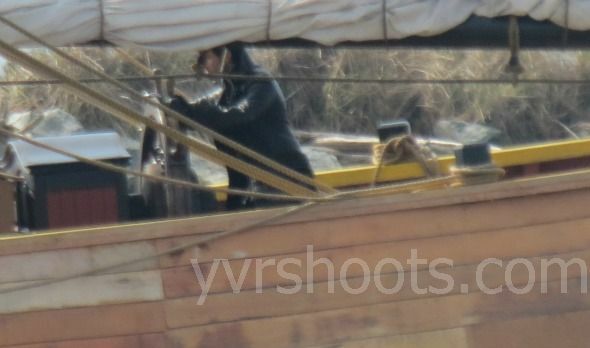 The pirate ship set is now tucked in among fishing boats and not visible from the boardwalk.